The pan Yoruba organization, Afenifere, has said that the South West would prefer to vote for a presidential candidate who would push for the restructuring of the country, over the prospect of a 2023 presidency. “They remember that we had the first television station; under federalism. They know that if Pa Awolowo had to go to Abuja to get a license for a television station, the South West would probably not have had the first station. They know what it means to have free education, but, Yoruba people are now beggars under this arrangement. Earlier, Lagos State Director General of the Buhari/Osinbajo Presidential Campaign, Moshood Salvador, accused former Vice President, Atiku Abubakar and Afenifere of deceiving the South West with the promise of restructuring. Speaking at his Lagos residence, yesterday, Salvador alleged the PDP presidential candidate is insincere and is using the promise of restructuring the country as a ploy to get South West votes. He also criticized Afenifere, for endorsing Atiku’s candidacy. “When these old men from the South West, who are pushing for restructuring were much younger, what did they do? The one that joined politics at the age of 27 is now over 90. They didn’t achieve restructuring when they were younger, is it now that they are above 90 that they think they can achieve it? We agree that restructuring is a southern agenda, but, former President Olusegun Obasanjo was there for eight years and he did not do restructuring because he knows the truth, which is that it is not possible. 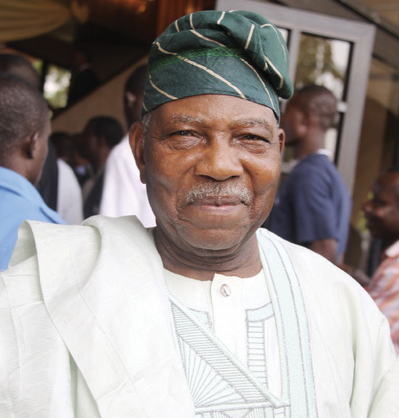 The post Yoruba Prefer Restructuring, Not 2023 Presidency – Afenifere appeared first on Naijaloaded | Nigeria's Most Visited Music & Entertainment Website.